Who doesn’t like banana bread? It is an ultimate comfort food! Unfortunately, though it sounds nutritious, the standard recipe of this great snack is not so healthy. 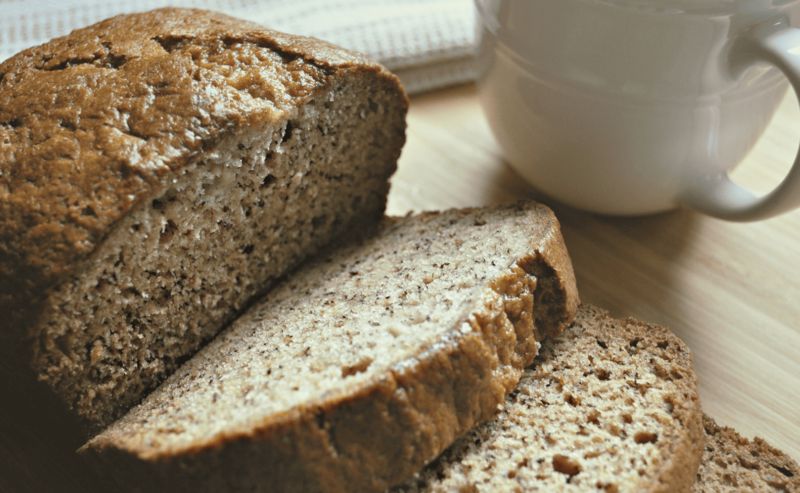 But don’t worry; you can still enjoy banana bread (even more) by following this recipe! First preheat the oven to 180 degrees. Then mix all the dry ingredients in a bowl. In a separate bowl, mush the bananas with a fork. Add the vanilla essence, agave syrup (or the pitted dates) with the 2 tablespoons of coconut oil. Now mix the dry and wet ingredients in one bowl. Now all you have to do is poor it into the greased cake tin and put it in the oven for around 40 to 50 minutes. To make sure the bread is done, put a long toothpick in the middle, if it comes out clean then the bread is done! This banana bread can be saved for 2 to 3 days in an air tight container.